This is the Christmas eCard that went out all Trovus users this week. 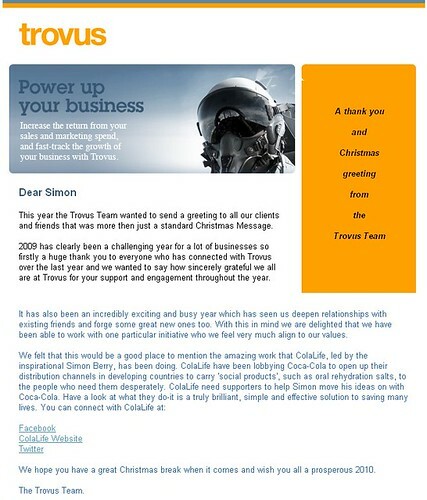 Thank you again to the Trovus team for their support for ColaLife. The people behind Trovus are long established supporters of ColaLife and their Trovus Revelations service keeps us informed of who is visiting this website which is pretty handy when you are running a campaign!